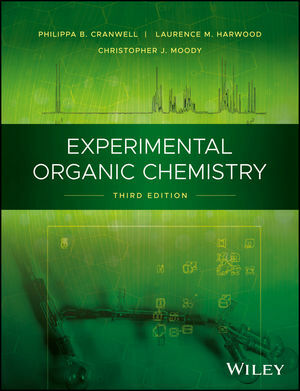 The latest edition of this popular guide to experimental organic chemistry takes students from their first day in the laboratory right through to complex research procedures. All sections have been updated to reflect new techniques, equipment and technologies, and the text has been revised with an even sharper focus on practical skills and procedures. The first half of the book is devoted to safe laboratory practice as well as purification and analytical techniques; particularly spectroscopic analysis. The second half contains step-by-step experimental procedures, each one illustrating a basic principle, or important reaction type. Tried and tested over almost three decades, over 100 validated experiments are graded according to their complexity and all are chosen to highlight important chemical transformations and to teach key experimental skills. A comprehensive guide to contemporary organic chemistry laboratory principles, procedures, protocols, tools and techniques, Experimental Organic Chemistry, Third Edition is both an essential laboratory textbook for students of chemistry at all levels, and a handy bench reference for experienced chemists. Philippa B. Cranwell, PhD is a Lecturer in the Department of Chemistry, University of Reading, UK. Laurence M. Harwood, PhD is Professor of Organic Chemistry in the Department of Chemistry and Director of the Chemical Analysis Facility, University of Reading, UK. Christopher J. Moody, PhD is Sir Jesse Boot Professor in the School of Chemistry, University of Nottingham, UK.